Written By: Becky A. Bailey, Ph.D.
Have you ever opened your mouth to discipline your child, and your parents' nastiest words tumble out? In an era when most parenting books focus on the child, this book supports parents in dealing more positively with themselves as well as their toddler-to-school-age children, offering specific tools to stop policing and pleading with kids and start being the parents we want to be. 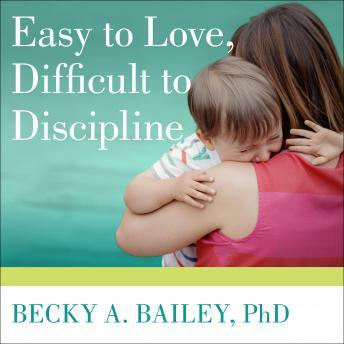 Based on Dr. Bailey's more than twenty-five years of work with children, this book explains that how we discipline ourselves is ultimately how we discipline our children. Her 'Seven Powers for Self-Control' dramatically increase our ability to keep our cool with our children. These correspond to 'Seven Basic Discipline Skills' we can use with our children in conflict situations. As children internalize these skills, they naturally learn 'Seven Values for Living,' which include integrity, respect, compassion, and responsibility. This is an amazing book. It has great insights and helpful suggestions as a parent with two small children. This is definitely a book I’ll be reading over and over again. by Becky A. Bailey, Ph.D.